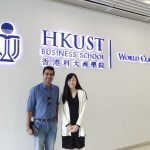 An ISB MBA Admission was always important to Akshay Gupta. ISB was one of his dream schools. Akshay lives and breathes finance. A self-confessed numbers geek, he spent a few years in commercial banking at in India before deciding to move to credit ratings. Although Akshay was a top performer at his organization, he longed to extend his professional skills beyond what his current job allowed. This, together with his passion for finance, led him to consider top global programs that could allow him to take up leadership roles within operational finance. With close to seven years of work experience, he felt a strong need for further education to enhance his career prospect. 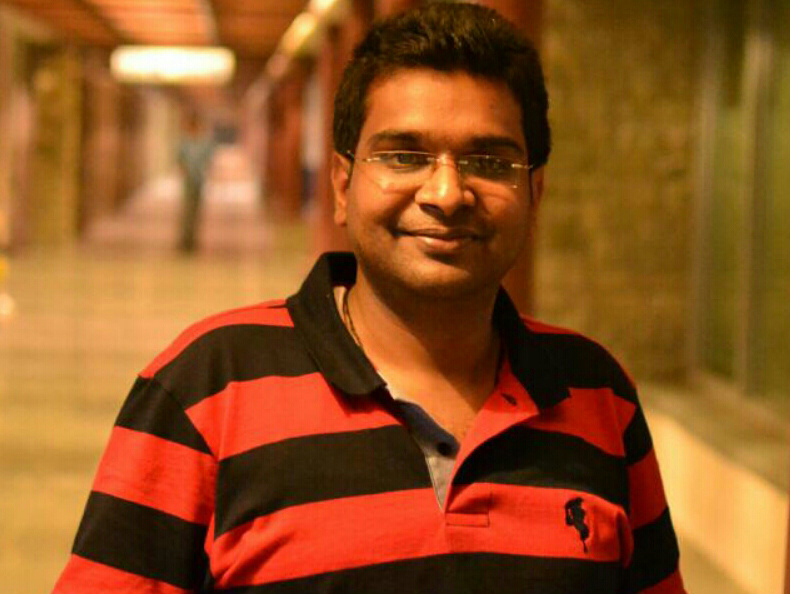 His journey ended on a happy note in Feb 2013, when he was able to secure the much vaunted ISB MBA admission. This is his story in his own words. 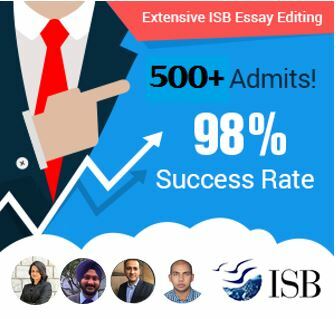 This is a post about the admissions success story of a current ISB student. In case you are looking for outstanding ISB application help or admissions consulting services, please check out our offering by clicking here or contact us using the contact form on the sidebar to the right. I am a Chartered Accountant and come from the banking sector in India, which can be a great place to be in if you love finance, like I did (and still do). I loved commercial banking and really learnt the ropes of finance here. Not before long, though, I felt that I was stagnating in these roles because I could see that the work involved in even the next two positions I could get (after promotions) would not be very different from what I was already doing. I moved to credit ratings, and spent the next six years in this very interesting but little known area of applied finance. This made me an expert with a very valued skill-set, but with little head room for growth outside the area of credit ratings. I loved the firm I worked for, but I wanted to move up the ladder to a broad-based understanding of finance that would allow me to take up senior roles in the industry. My journey started with preparing for the GMAT, but constant work pressure meant that I could only finish with it by August end (score 690), and again because of work pressure was in no position to meet the ISB Round 1 deadline to aim for an ISB MBA Admission. The problem with broad-based goals is that it can lead to you selecting everything as an option. I started off believing that I would apply to 10+ schools including ISB Round 2. This was when I first got in touch with GyanOne, and we began evaluating my goals and the options I had. Ultimately, we narrowed down to just three programs – LBS Masters in Finance, ISB (MBA), and NUS (MBA). We ended up dropping quite a few programs on my initial list, including the INSEAD, Nanyang, and Oxford MBAs. I think this was really important because it allowed me to select programs which could help me meet my goals and also focus my efforts. Looking back, I realize that the effort saved in focusing on these schools was well worth it. The LBS application was the first, and was a frustrating experience to begin with. I had never prepared an application before, and most of my initial drafts were almost rejected outright by GyanOne. After redrafting, reviewing, re-reviewing, and some more rounds of reviews and changes, I was finally ready to submit. My essays came a long long way in just about a month, and this is where I think a professional consultant like GyanOne can really add value. The interview call from LBS came in a short while after submitting the application. While I was still preparing for the LBS interview, I realized that the ISB round 2 deadline too had begun to loom large. Missing this would mean missing the bus for an ISB MBA Admission this year. I got busy preparing the ISB application, once again with GyanOne. Again, I realized how different an MBA application is from a Masters in Finance application. GyanOne made me work hard, and gave me extremely detailed reviews on each of my essays. While the essays were one thing, the ISB video was definitely another! I consider myself a good speaker, but looking at some examples of sample videos that other candidates had prepared, I became nervous. I could not professionally edit my essays, nor could I shoot bits and pieces of the video in different places. This is again where GyanOne’s experience helped me a lot. I was told about exactly the bits I needed to focus on and forget about the rest. The video was done in just two shots. My missive to the ISB MBA Admissions Committee was finally sent. I also applied to NUS after ISB and received the interview call shortly there as well. Three schools, three applications, three interview calls. Admits? ISB, closely followed by NUS, was the first one to send me the good news, which helped me to make up my mind early too. The application journey had made me realize that I wanted an MBA much more than a Masters in Finance. The decision boiled down to choosing between the NUS MBA and the ISB MBA, and I chose the ISB MBA. Two days and a cash deposit to ISB later (to confirm my seat), my ISB MBA Admission journey had come to a happy end. For friends out there thinking about applying, here is the learning from my experience. School selection is important. GyanOne’s role was really important here. They helped me realize that carpet-bombing schools with applications doesn’t increase your chances of success. Selecting the right schools for the right reasons does. Keep enough time for your applications. Whether you go for a professional consultant or not, it is very important to seek feedback on your essays. My final essays for LBS and ISB had almost no resemblance to my first drafts. Unless you have enough time you can’t do this. Be absolutely clear about your future, not just your career goals. I realized that staying in India was top priority for me and this helped me take a final decision on the ISB MBA Admission. Does this mean I should not have applied to LBS and NUS? No, it was not certain I would get into ISB. The factor which helped me to decide was finally very personal. This is where you must step in and take a call. Nobody – not even an admissions consultant – can help you decide what your personal priorities should be. Happy to help any others who can gain from my experience and who are trying for admission to ISB in particular. Please post your questions on this blog as comments. 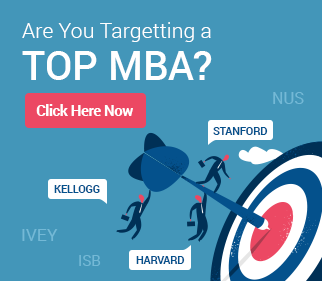 Thanks for those insights…What were the reasons of choosing ISB MBA over NUS MBA? Thanks Nitesh for your wishes. I am in the Mohali campus.Life at ISB is wonderful and is a mixture of academics and extra curricular activities. One should be ready for a 51 week roller-coaster ride. Time and energy management becomes very important in an environment such as this. The ISB focus on learning and has done its best to make students feel comfortable at its campus. It has been only three weeks at ISB but it seems as if I am part of the ISB family for ages now. Congratuations and thanks for sharing..Good work GyanOne! All the best for your MBA and great career after that. I wanted to ask how important is GMAT score for admission, I scored 700 on my GMAT and very much confused on whether to spend 1-2 months more and retake GMAT or spend the same time on my applications. I think I can get around 720 in another 4-5 weeks preparation but getting beyond that will need much more time. An amazing success strory!! I too have an offer from ISB (Co2015) and NUS. I am not able to decide between the two..The shorter duration of the program is also a major consideration for me…ISB starts early and is a 1 year program while NUS starts in september and is a 16 months program…in terms of brand value how would you place the two?…I would have worked 3 years and 10 months by the time I join ISB in April, 2014..All my experience has been into business analytics (Retail and healthcare domains).. I found this interesting and thought-provoking at the same time. In the ISB vs NUS decision, was Akshay’s decision swayed only by his desire to work in India after his MBA or did he feel that ISB is a better program genuinely as compared to NUS? Nice story though Gyanone.